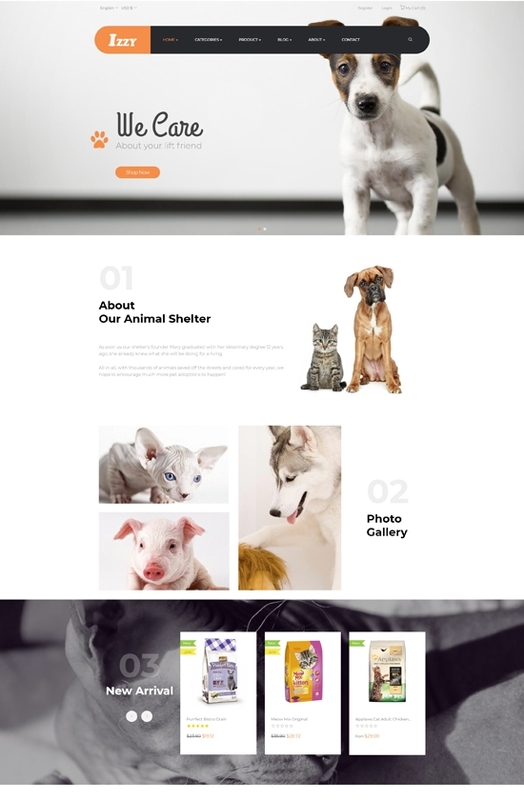 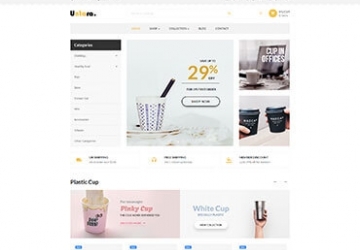 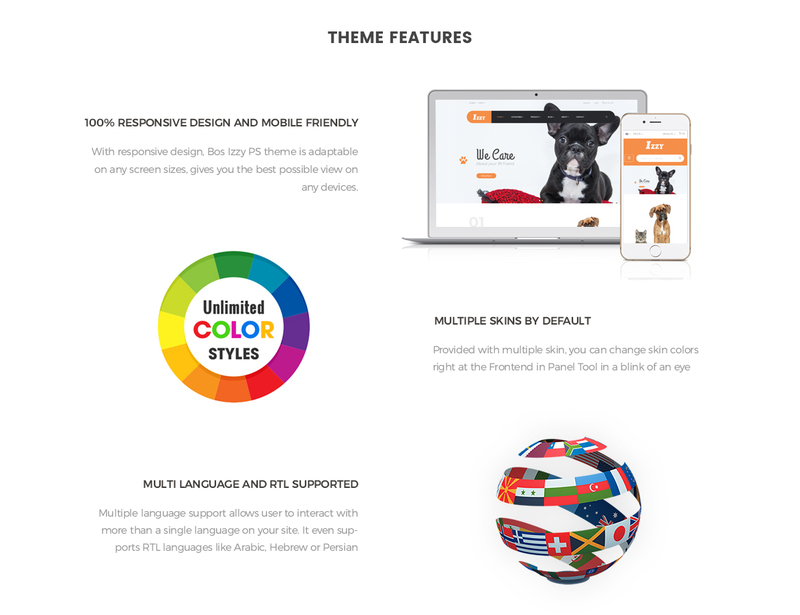 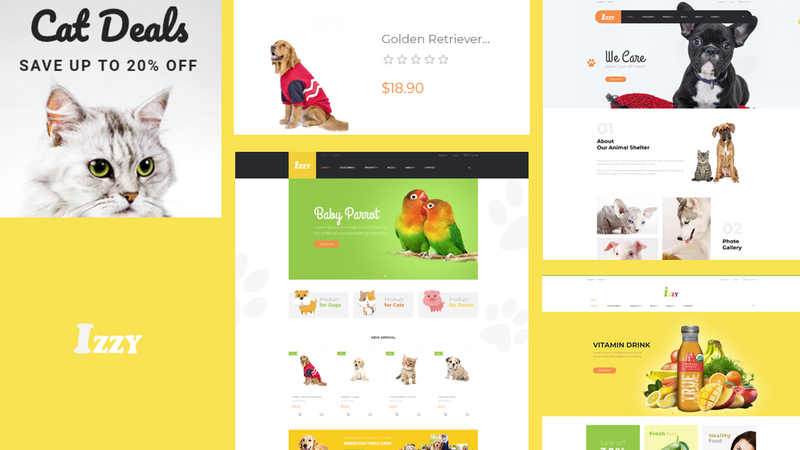 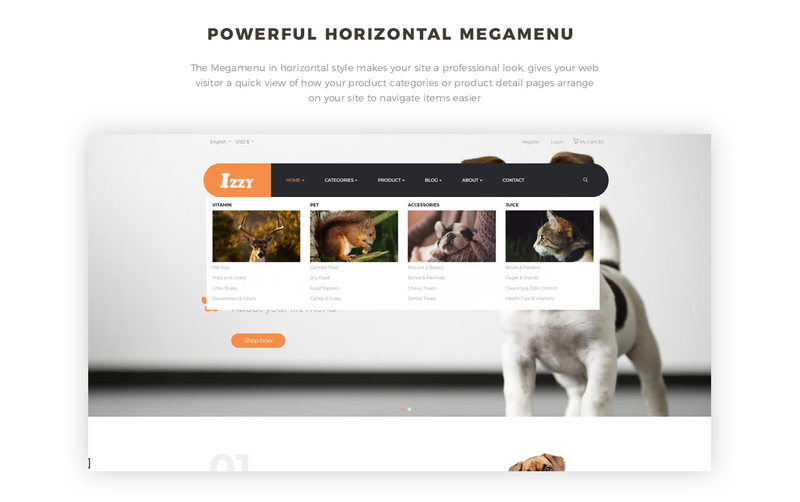 Bos Izzy - perfect PrestaShop Theme for Pet Shop, veterinary clinic, dog training classes, animal shelters and pet hotels, dog/cat trainers, or pet caretakers or food & beverage shop. 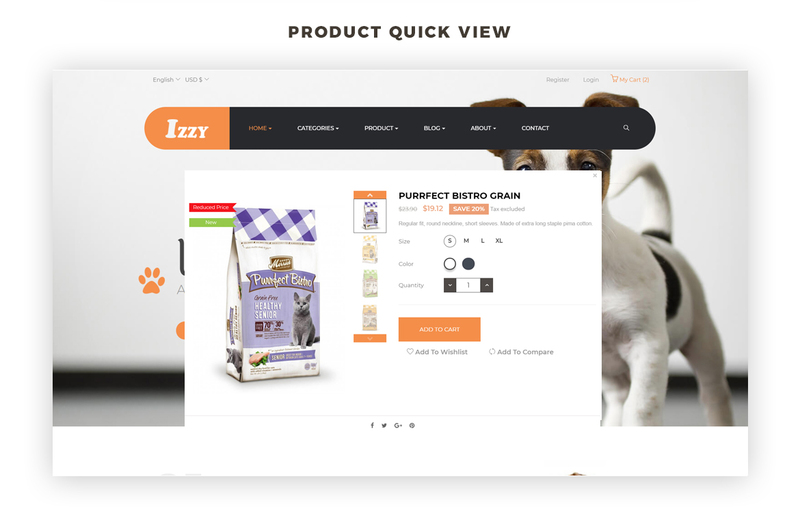 With Bos Izzy - Pet Shop and Veterinary Clinic, you will be impressed with stunning, fresh & friendly design of the Pet shop. 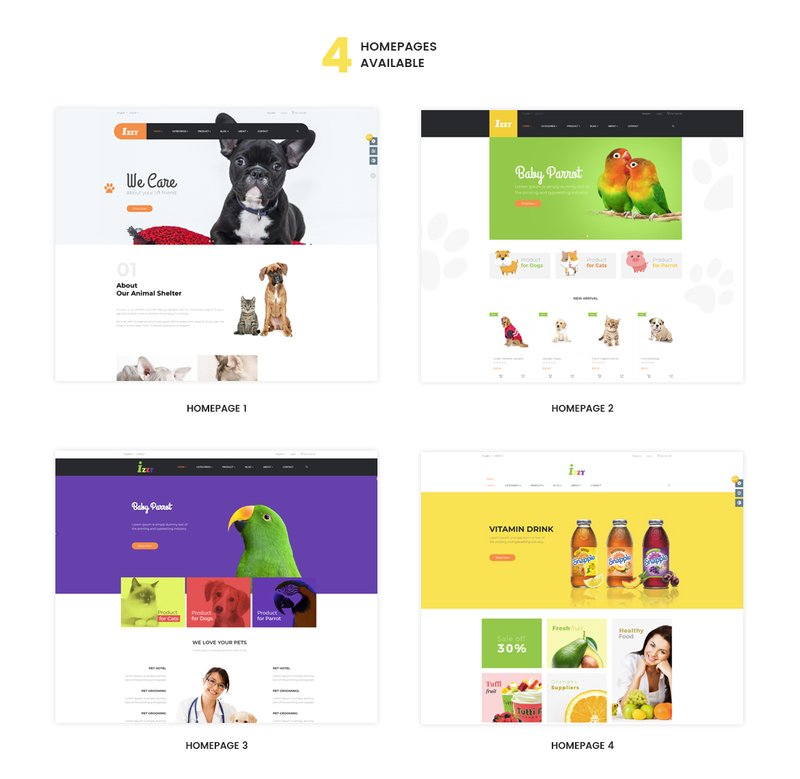 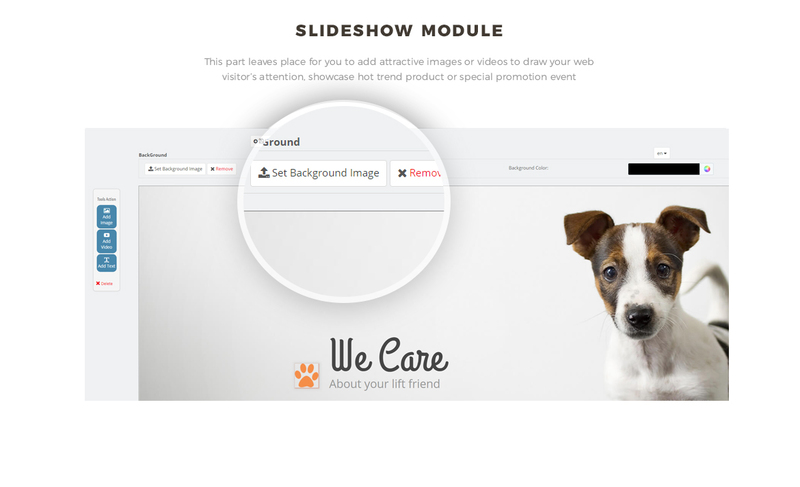 The theme supports 04+ stunning ready-to-use homepages for Pet Shop (03 demos) & drink (1 demo). 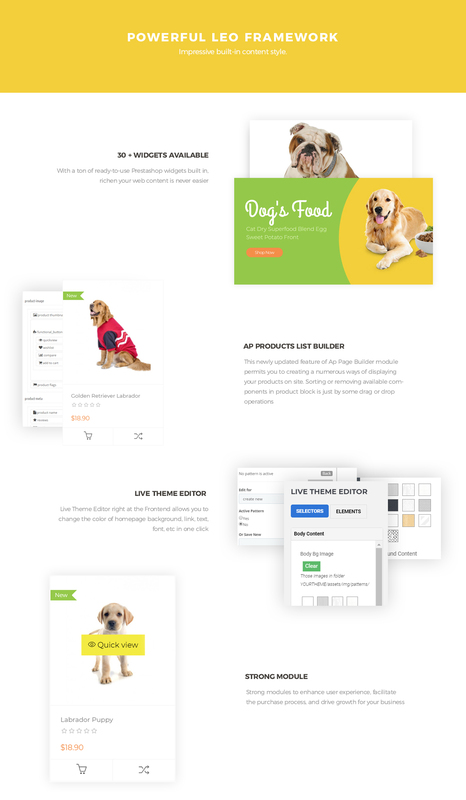 All of them can be installed by 1-click installation import. 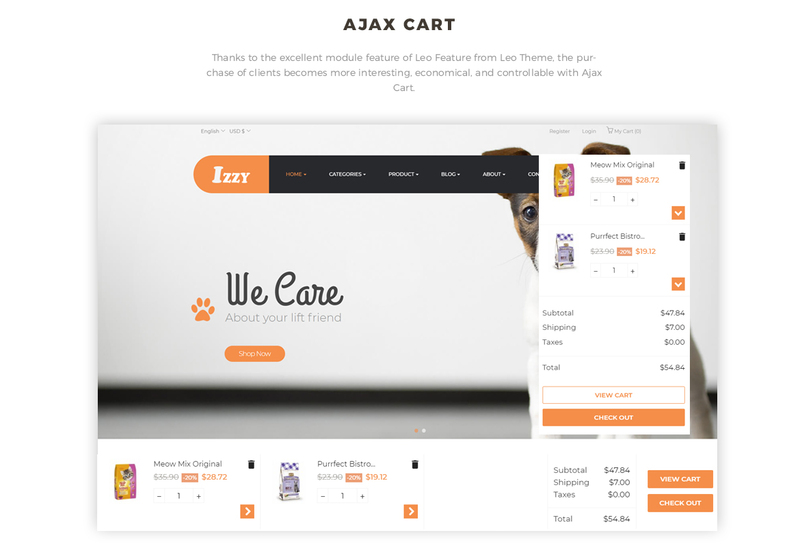 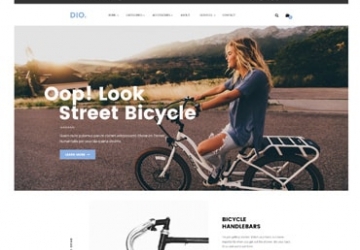 Flexible layout, fast loading, dedicate support & premium PrestaShop modules on Leotheme Framework, Bos Izzy will be great builder tool for creating beautiful E-commerce Website. 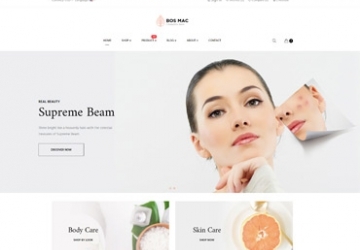 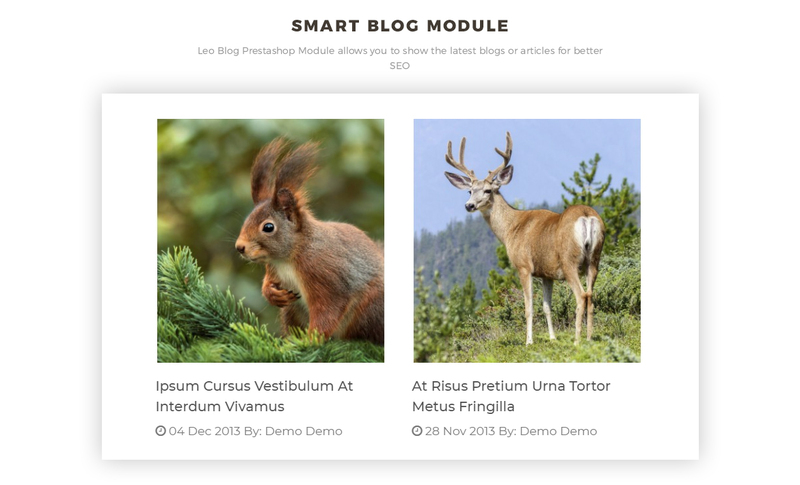 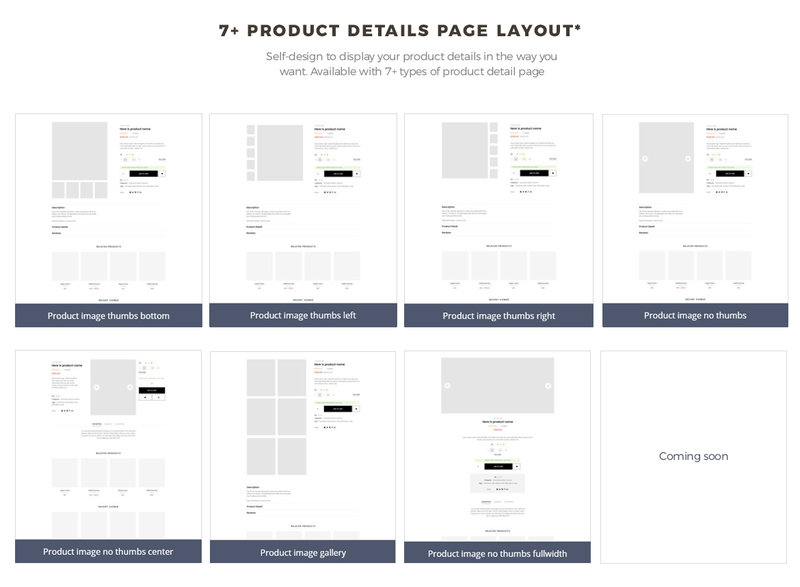 What makes Bos Izzy Responsive Prestashop Theme special?